When it comes to netting personal milestones, Vincent Lecavalier maintains a simple philosophy: Enjoy the moment, then move on. 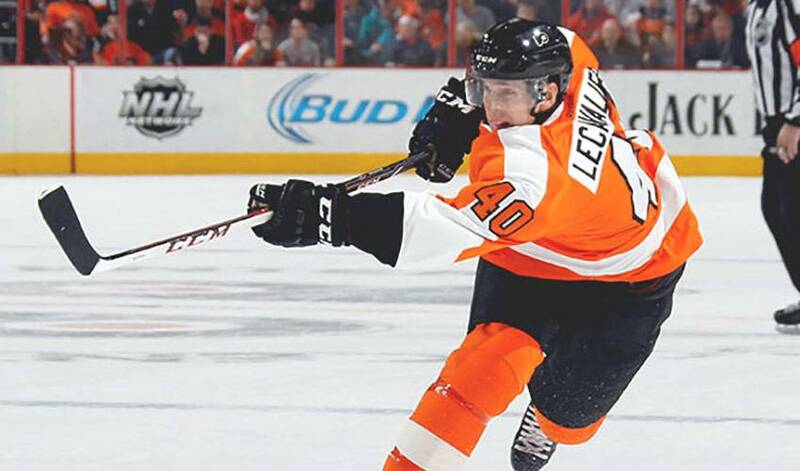 Just over five minutes into Philadelphia’s March 30 home game against Boston, Lecavalier ripped home a shot that gave the Flyers the lead and delivered the centreman his 400th career tally. He also added a late-game goal that sent the game to a shootout. Boston went on to win by a 4-3 count. Nearly 1,100 games, one Stanley Cup, a World Cup, a Maurice ‘Rocket’ Richard Trophy and King Clancy Memorial Trophy later, Lecavalier has achieved more than he ever anticipated. However, like his big-league brethren, the first overall pick of the Tampa Bay Lightning in 1998 has always been focused on team successes. That said, Lecavalier is grateful and humbled for a career that is now in its 16th year. He laughs when he thinks back to his first season, 1998-99, one year removed from a 115-point campaign with the Quebec Major Junior Hockey League’s Rimouski Oceanic, where he played alongside Brad Richards (the current New York Rangers forward, who was also a member of the Lightning). And they’d no doubt listen to the highly respected Lecavalier, who is hoping his first season with the Flyers yields a shot at winning the Stanley Cup. Reaching a notable milestone along the way isn’t too bad either. And then, in Vincent Lecavalier’s own words, it’s time to move on. The dynamic centre seems to have found a comfort zone with his abilities and his role in recent months for the Lightning.